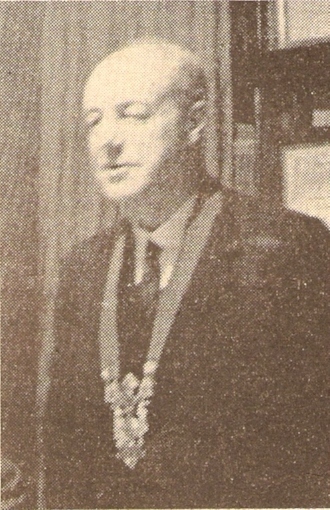 CANON A. G. G. THURLOW, Vicar of Great Yarmouth, is president of the 25th Council of the Central Council of Church Bell Ringers. His election was unopposed. At the meeting of the Standing Committee, held on Whit Monday, Mr. Frederick Sharpe, who had been president for the past six years, withdrew his nomination and at the Council meeting in the Town Hall on Whit Tuesday the Canon was elected president. The new vice-president is Mr. John Freeman, of Lincoln, who, in a ballot, defeated Mr. W. B. Cartwright. Proceedings on the Tuesday started with a celebration of Holy Communion in St. Nicholas’ Church, The Bishop of Norwich (Dr. L. Flemming) was the celebrant, and assisting were the Archdeacon of Norwich, Canon Thurlow, Canon K. W. H. Felstead and the Rev. J. G. M. Scott. Afterwards the Bishop had breakfast with the officers of the Council and of the Norwich Diocesan Association at the Star Hotel. Another engagement prevented the Bishop from attending the meeting in the Town Hall. At the opening of the proceedings Mr. F. Sharpe presided and called upon the Mayor of Yarmouth. The Mayor (Councillor J. P. Winter), in his welcome to the Council, said Great Yarmouth was an ancient borough, with a lively sense of history, and especially with reference to bells. In the old days, when water was the means of transporting heavy objects, many bells cast in Norwich, between 1350 and 1750, no doubt passed through their port on their way to other places and many bells cast in London passed the other way through their port on their way into Norfolk. “As a great sailing port we had our rope making industry, and, probably before bell ropes became a specialised matter, we supplied them as a side-line. Indeed, a 14th century reference in Norwich Cathedral accounts, ‘to cables from Jermout,’ probably means bell ropes from here. As an important port supplying a large part of the Navy in the 14th century, we probably placed many orders. “We are very proud of our Parish Church, the largest in England. As no doubt you know, from 1942 to 1957 it was a complete ruin. Many people doubted whether it could ever be rebuilt, and sometimes we were told that our once famous bells would never rise again. But during those last few hectic years, from 1957 onwards, we have seen the apparently impossible happen, and now our church stands again, beautifully restored, constantly filled for one purpose or another, and alive with worship and work. “From 1940 to 1959 the sound of church bells was never heard in Yarmouth. Few towns of such importance and with such a history could have been in such a state. How easy it would have been for Yarmouth never to have had bells again! How easy it would have been for our church leaders had they been innocent and ignorant, to be deceived by the sales talk of the imitation ‘bell’ manufacturers and to be led to think that ringing is a dying art, bells too expensive to obtain and to have disfigured our church tower with a noise like that of the itinerant ice cream cars. So far as I know, no such rubbish has ever been tried on our church leaders here. Another message of greeting came from the Archdeacon of Norwich (the Ven. - Aitken) who, “because his voice was not only a question of ‘treble gone,’ but tenor and bass gone,” asked Canon Thurlow to read it. The Archdeacon wrote that as a native of Norfolk he had grown up as a member of the great Church of St. Nicholas in that town. “I bid you welcome as fellow workers in the service of our Lord Jesus Christ, and of His Church. In the full and thrilling life of this Church, many people have their varied parts to play and you ringers, in the exercise of your skilled and ancient craft, are fulfilling a high calling of God in the service His Church. I hope that churchpeople as a whole do not take for granted the great and splendid service that you render. “I always made it a practice as a parish priest to visit my belfry as often as I could on Sundays and on practice nights, as I am sure that a close personal relationship between priest and ringer is essential. Indeed, it is a privilege for the clergy to be able to share in the happy fellowship that is so often found amongst ringers. “If I were to design a stained-glass window, I think I should like to make room for a representative bellringer in one of the lights. There would be a churchwarden in the window, and, no doubt, an organist or choirman, but I should want to find room for a ringer too, so great are the services that you render to our Lord and His Church. He would have to be a handsome ringer and we might easily select a lady ringer, but looking round the assembly I can see many who would look well in stained glass - much as they would dislike it! “I hope I am right in claiming that ringing is in a more healthy state than ever before. If this is so, and I believe it to be so myself, then this is a cause for profound thankfulness in the Church as a whole. I have been particularly struck by the number of young ringers learning this great craft, and I put in a plea for all of you experts that you will exercise the greatest possible patience, perseverance and kindness in teaching the younger generation of ringers. Thanking the Archdeacon for his welcome the president said if all dioceses had the same relationship between Archdeacon and ringers it would be better for their art as a whole. We were in a very healthy condition and there was more interest in the art today than ever before. In a word of thanks to the Archdeacon, Mr. Golden said he was brought up at Yarmouth and his father, of blessed memory, was extremely kind to ringers. He (Mr. Golden) had many a supper in the vicarage after ringing the bells of Yarmouth. They had splendid leaders in the church of this diocese to help them in their work. The president thanked Mr. Golden and Mr. Barrett for all the work they had done in preparing for the meeting. A prayer for the success of the Council meeting was then offered by the Vicar of Yarmouth. The honorary secretary reported that the Council had 59 Associations, with a total of 164 members, 24 honorary members, eight life members, making a total of 196. There were seven vacancies, one among representative members and six honorary. All subscriptions had been paid. The honorary secretary reported that an application for membership had been received from the South Derbyshire and North Leicestershire Association as a non-territorial association. The Standing Committee considered the application the previous evening, and recommended that it be accepted. Mr. G. A. Halls (Derbyshire Association) said the South Derbyshire and North Leicestershire Association was formed six or seven years ago by a group of angry young men, who were dissatisfied with the number of meetings in their area. At that time the district of the Derbyshire Association was a large one and they could only visit towers once in three years. The solution was to form another district of the Derbyshire Association. Mr. Halls emphasised that the Derbyshire Association represented the whole of the diocese, but as this Association had been formed and they recognised that it did a certain amount of good in the area they were prepared not to oppose the application. Mr. J. F. Smallwood proposed and Mr. P. J. Staniforth (Leicester Diocesan Guild) seconded that the application be granted. This was carried, but there were 18 votes against. Life members: Messrs. F. Sharpe, E. A. Barnett, F. W. Perrens, E. H. Lewis, G. W. Fletcher, Mrs. G. W. Fletcher. Honorary members: Mrs. E. A. Barnett, Messrs. F. I. Hairs, D. Hughes, C. K. Lewis, Mrs. C. C. Marshall, Messrs. G. W. Pipe, H. L. Roper, R. F. B. Speed, Mrs. R. F. B. Speed, Messrs. L. Stilwell, P. L. Taylor, T. W. White. Ancient Society of College Youths: Messrs. W. T. Cook, J. F. Smallwood, C. G. J. Watts and W. Williams. Bath and Wells Diocesan Association: Messrs. J. H. Gilbert, A. H. Reed and H. J. Sanger. Bedfordshire Association: Messrs. J. H. Edwards and A. E. Rushton. Chester Diocesan Guild: Miss A. D. Edwards and Mr. J. Scott. Coventry Diocesan Guild: Mrs. D. E. Beamish and Mr. H. Windsor. Derby Diocesan Association: Messrs. G. A. Halls, A. Mould and M. Phipps. Devon Guild: Miss B. M. Boyle and Rev. J. G. M. Scott. Durham and Newcastle Association: Messrs. K. Arthur and D. A. Bayles. East Grinstead and District Guild: Mr. E. J. Ladd. Ely Diocesan Association: Messrs T. A. Bevis, J. G. Gipson, E. H. Mastin and H. S. Peacock. Essex Association: Messrs. P. J. Eves, F. B. Lufkin, J. E. G. Roast and Miss H. G. Snowden. Gloucester and Bristol Diocesan Association: Messrs. W. B. Kynaston and C. A. Wratten. Guildford Diocesan Guild: Messrs. A. C. Hazelden, D. A. R. May, S. G. Ponting and W. H. Viggers. Hereford Diocesan Guild: Messrs. G. Cousins and A. Wingate. Hertford County Association: Messrs. W. Ayre, G. W. Critchley and G. Dodds. Irish Association: Mr. F. E. Dukes, Mrs. F. E. Dukes and Mr. J. T. Dunwoody. Kent County Association: Messrs. J. R. Cooper, P. A. Corby, T. Cullingworth and I. H. Oram. Ladies’ Guild: Miss J. Beresford, Miss D. E. Colgate and Mrs. P. J. Staniforth. Lancashire Association: Messrs. J. E. Burles, C. Crossthwaite, R. Leigh and D. Ogden. Leicester Diocesan Guild: Messrs. S. Burton, J. M. Jelley, P. J. Staniforth and B. G. Warwick. 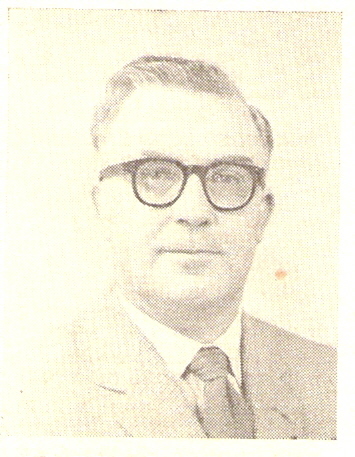 Llandaff and Monmouth Diocesan Association: Mr. T. M. Roderick. London County Association: Messrs. C. W. Ottley, H. W. Rogers, Mrs. H. W. Rogers and Mr. W. G. Wilson. North Staffordshire Association: Mr. R. S. Anderson. Oxford Diocesan Guild: Mr. A. D. Barker, Mrs. A. D. Barker. Oxford University Society: Mr. D. J. Roaf. Peterborough Diocesan Guild: Messrs. B. Austin, E. Billings and Miss S. R. Collins. Salisbury Diocesan Guild: Messrs. J. T. Barrett and G. S. Morris. Shropshire Association: Messrs. R. B. Morris and R. Newton. Society of Royal Cumberland Youths: Messrs. D. Beresford, W. H. Dobbie, F. E. Hawthorne and Dr. D. E. Sibson. Southwell Diocesan Guild: Messrs. B. M. Buswell and W. L. Exton. Stafford Archdeaconry Society: Mr. B. G. Key. Suffolk Guild: Messrs. J. W. Blythe, L. G. Brett, Miss A. E. J. Lester and Mr. C. W. Pipe. Surrey Association: Messrs. N. S. Bagworth, F. E. Collins and W. Parrott. Sussex County Association: Mrs. F. I. Hair, Messrs. R. W. R. Percy and A. V. Sheppard. Yorkshire Association: Messrs. V. Bottomley, W. E. Critchley and W. F. Moreton. Apologies were received from Messrs. J. T. Dyke, J. P. Fidler, A. A. Hughes, W. A. Osborn, A. J. Pitman, E. C. Shepherd, J. Willis, P. M. J. Gray, G. Salmon, H. O. Baker, B. Bartlett, N. Mallett, T. G. Myers, A. L. Barry, G. J. Lewis, J. J. Webb, R. G. Bell, Mrs. D. J. King, Messrs. E. C. Birkett, E. H. Edge, D. J. Smith, P. I. Chapman, G. H. Harding, W. C. West, R. St. C. Wilson, J. D. Clarke, W. L. Weller, G. I. Lewis, A. J. Davidson, A. Locke, Dr. D. N. Layton, Messrs. D. H. B. Millward, J. W. Clarke and G. Benfield. Upon the chairman’s suggestion the honorary secretary was requested to send a letter to Mr. A. A. Hughes, wishing him a speedy recovery. The following new members were presented: G. W. Pipe, Mrs. Speed (honorary members), W. T. Cook (Ancient Society of College Youths), J. H. Gilbert (Bath and Wells), J. H. Edwards (Bedfordshire), Miss A. D. Edwards, J. Scott (Chester), H. Windsor (Coventry), M. Phipps (Derby), T. A. Bevis (Ely), J. E. G. Roast (Essex), D. A. R. May, S. G. Ponting (Guildford), Miss J. Beresford (Ladies’), J. E. Burles, C. Crossthwaite, R. Leigh, D. Ogden (Lancashire), J. M. Jelley (Leicester), C. W. Ottley (London County), D. J. Roaf (Oxford Un. ), Miss S. R. Collins (Peterborough), R. B. Morris (Shropshire), W. H. Dobbie, Dr. D. E. Sibson (Cumberlands), W. L. Exton (Southwell), Miss A. E. J. Lester (Suffolk), N. S. Bagworth, W. Parrott (Surrey), Mrs. F. I. Hairs, A. V. Sheppard (Sussex), J. E. Collins (South Derbyshire and North Leicestershire). In a tribute to Mr. Sharpe, the new president said the ways he had served the Exercise and the amount of work he had done for bells and ringing was quite encyclopædic. He supposed no one knew the extent of his achievement, the help he had given to diocesan authorities all over the country, the number of lectures he had given to learned Societies and Societies less learned, the tremendous help he had given all over the country in various technical courses, the help he had given in judging ringing competitions, the brilliant books he had written, such as “The Church Bells of Oxfordshire,” which was so much finer than the old county histories. Quite the most spectacular thing in his career was to come later this month, when he would go to America to attend the Convention of the American Guild of English Handbell Ringers. Not only was he to lecture and judge competitions, but he was to crown the king and queen of the festival. In reply Mr. Sharpe said he had enjoyed every moment of his position as president. When he took office, six years ago, he said he did not wish to introduce any revolutionary changes; as they had gone on so well under the guidance of Mr. Lewis he did not want to make any radical changes. There had been certain changes and distinct features during his period of office. The first was the inauguration of residential courses for ringers, which had now become a recognised means of training. The first of these courses was very experimental and he had the pleasure and privilege of giving the inaugural lectures in most of the dioceses where these courses had been held. They had done a tremendous amount of good. He would also like to pay tribute to the wonderful work of the Sunday Service Ringing and Education Committees. The fellowship at these courses had been good. The other thing of outstanding interest was the passing by the Government of the Quinquennial Inspection of Churches Measure. It meant that, for the first time, it was required by law for every church to be inspected and reported on by an architect. This had meant an overwhelming amount of work for the Towers and Belfries Committee. In this work that of dealing with the roof and building would come before the bells. Most of the churches had completed that work and some were giving attention to bells. He had been to many dedications and enjoyed going into all the dioceses. He had visited all the Associations except six during his term of office. Mr. W. G. Wilson rose to assure the president that he would have his loyalty and support throughout his term of office. A reason for his nomination was that he wanted Mr. Sharpe to go to America as president of the Council. He wanted Mr. Sharpe to know that when he was in America he would have their support as a whole. Mr. W. B. Cartwright 52. The president added that both had served the Council splendidly in various ways. He congratulated Mr. Freeman. Mr. Freeman then took his seat on the right of the president and thanked the Council. He said he felt that his election was a tribute to the Lincoln Diocesan Guild, which he had the pleasure of serving. The re-elections were announced of Mr. E. A. Barnett as hon. secretary and treasurer and Mr. F. W. Perrens as honorary librarian. The honorary secretary stated that the Standing Committee recommended that Mr. Harold N. Pitstow, one of the Council’s auditors, be elected an honorary member of the Council. It was proposed by Mr. R. S. Anderson, and seconded by Mr. J. Sanger, that Mr. Pitstow be elected and this was agreed to. The honorary secretary also reported that under Standing Orders he proposed that Mr. Albert A. Hughes be elected a life member. This was agreed to. The following were re-elected honorary members: Messrs J. P. Fidler, D. Hughes, Mrs. C. C. Marshall, Messrs. E. C. Shepherd, R. F. B. Speed, L. Stilwell, P. L. Taylor, T. W. White and J. Willis. Messrs. A. A. Hughes and H. N. Pitstow were re-elected honorary auditors, on the proposition of Mr. F. I. Hairs, seconded by Mr. W. Ayre. Members of the Council stood while the following, who had died since the last meeting, were remembered: H. E. C. Goodenough, Miss M. E. Snowdon, Ernest Stitch and Daniel Smith. Mr. B. C. Key, speaking of Mr. Stitch, said he spent some years after he retired in the Archdeaconry of Stafford and did quite a lot of ringing. He was a most lovable character. Mr. Norman Chaddock paid a tribute to Miss Margaret Snowdon, whom he said he visited at Cartmel. She had a lovely character, and always sent a message to the annual dinner of the Yorkshire Association until last year. She was the last of the Snowdon family, but the Snowdon series of books was being continued by Mrs. Turner. Mr. A. D. Barker, speaking of Mr. Horace Goodenough, said he was a very enthusiastic worker in the St. Albans District of the Hertford County Association and was largely responsible for getting the Abbey bells increased to 12. The honorary secretary stated that the minutes had been published in “The Ringing World” and circulated to members. He moved that they be accepted. Mr. F. I. Hairs seconded, and the president signed them. Among the inquiries dealt with during the year were ones from St. David’s Cathedral, Hobart, Tasmania, for advice and information on restarting a band there; from Hong Kong Cathedral as to the significance of abbreviations in “The Ringers’ Diary”; from the John Hilton Bureau of “The News of the World” on numbers, organisation, training, etc. ; and from “Woman” in connection with a leaflet on hobbies, in which ringing was included. J. E. Chilcott, A.S.C.Y., 1960-62; Miss N. G. Williams, Bath and Wells, 1939-62; S. Foskett, Bedfordshire, 1954-62; A. R. Elkins, Chester Diocesan, 1960-62; J. Worth, Chester Diocesan, 1960-62; J. L. Garner-Hayward, Coventry Diocesan, 1960-62; D. E. R. Knights, Ely Diocesan, 1960; J. H. Champion, Essex, 1954-62; C. W. Denyer, Guildford Diocesan, 1960-62; H. N. Pitstow, Guildford Diocesan, 1957-62; Mrs. J. Jeffrey, Irish, 1953-62; Mrs. A. Richardson, Ladies’, 1932-62; P. Crook, Lancashire, 1957-62; F. Dunkerley, Lancashire, 1951-62; J. Ridyard, Lancashire, 1951-62; Rev. R. D. St. J. Smith, Lancashire, 1954-62; T. H. Taffender, London County and A.S.C.Y., 1900-62; Dr. J. E. Spice, Oxford U.S., 1960-62; E. G. Orland, Peterborough Diocesan, 1957-60; H. Poyner, Shropshire, 1960-62; Rev. P. N. Bond, S.R.C.Y., 1950-62; F. J. Cullum, S.R.C.Y., 1959-62; Miss R. J. Seabrook, Suffolk, 1960-62; A. P. Cannon, Surrey, 1957-62; W. F. Oatway, Surrey, 1954-62; R. G. Blackman, Sussex, 1945-62; R. Overy, Sussex, 1957-62; H. Stalham, Sussex, 1954-62; Rev. A. S. Roberts, Truro Diocesan, 1957-62; H. Miles, Truro Diocesan, 1948-62; L. W. G. Morris, Yorkshire, 1939-62. Special mention should perhaps be made of the four pre-war members who have retired, Mr. T. H. Taffender’s 62 years’ membership is, I think, the longest in the history of the Council, although his attendances were somewhat infrequent. Mrs. A. Richardson and Miss N. G. Williams missed only two meetings during 30 and 23 years’ membership respectively, while Mr. L. W. G. Morris attended every meeting since his election in 1939. A number of Associations have failed, despite several requests in “The Ringing World,” to notify names and addresses of members as required by Rule 5(iv). Even if no change has taken place I do not necessarily know this unless so informed, and I do not appreciate the extra work entailed in trying to find out. I have therefore sent papers to the former members where the rule has not been complied with. Once again I record my thanks in those who have sent copies of their annual reports and other publications, and to Mr. W. G. Wilson and Miss C. L. Groves for typing and duplicating these papers. Mr. Barnett moved the adoption and Mr. Harold Rogers, in seconding, said he saw Mr. Taffender on Whit Sunday. He was in hospital at Epsom, and was likely to remain there for the rest of his life. He was more alert then than in the past year. Copies of Irish Bell News, per Mr. F. E. Dukes. The value of the stock of publications at the end of the year indicates how much the Exercise owes to Mr. and Mrs. R. F. B. Speed for housing it, to say nothing of the work and time necessary to despatch 3,600 copies of various publications. We are indeed grateful to them for a very valuable work so well done. The total of sales amounted to £851 17s. 2d. Publication sales included: Beginner’s Handbook 1,681, Preservation of Bells 317, Minor Methods 302, Doubles Methods 201, Handbell Ringing 154, On Conducting 144, Village Bells 92, Stedman Compositions 87, Ringing for Service 84, Handbook 78, Plain Major Methods 76. The report was proposed by Mr. F. W. Perrens, and seconded by Mr. P. A Corby, and adopted. The report of the Trustees stated three demonstrations were given during the year to the St. Albans District of the Hertford County Association, the Great Gransden ringers and to young ringers of the Edmonton County Grammar School. During these demonstrations touches of London, Stedman Cinques and Double Norwich were successfully rung. The machine continues to operate satisfactorily. (Signed) A. A. Hughes, F. E. Haynes, Douglas Hughes, Trustees. Mr. Douglas Hughes moved the adoption and Mrs. Staniforth seconded, and the report was adopted. The president expressed his gratitude to Mr. Hughes for the demonstrations given and care of the machine. PROFITS FROM PUBLICATIONS AND “THE RINGING WORLD.” - CLEMENT GLENN BEQUEST INTEREST FOR SUNDAY SERVICE RINGING AND EDUCATION COMMITTEE. Sundry creditors £595 (£589); amounts received in advance £1,539 (£1,425); Clement Glenn Fund £876 (£853). Capital Accounts £8,576 (£7,775): making a total of £11,587 8s. (£10,706). Library £10 (£10); office and library equipment £14 (£21); stock of publications £852 (£470); investments at cost £6,563 (£6,563); cash at bank and in hand £3,118 (£2,659); total £11,587 8s. The General Fund showed creditors £514 (“The Ringing World” £508); balance brought forward £643; excess of income for year of £54 8s. 7d. The Publications Account showed that the stock at January 1st, 1962, was £470 3s. 6d. Purchases were: 5,000 Beginners’ Handbooks £169; 2,000 Minor Methods £336; 1,000 Preservation of Bells £54; 203 Treatise on False Course Heads; making a total of £570 (£209). Sales were £296 (£242); sundry receipts 16s. 8d. ; stock at December 31st, 1962, £851. The Publications Account made a profit on the year of £58 12s. 7d. The Income and Expenditure Account of the General Fund showed an excess of income over expenditure of £54 (£49). Commenting on the accounts, Mr. Barnett said the General Fund’s Income and Expenditure Account would have shown a loss of £4 on the year’s working but for the large profit on publications. Expenses had been very much as usual; one extra item on the income side was “bad debt.” £1 had been received from Australia for a gramophone record. Regarding the Clement Glenn Fund he said that £763 had been invested. This was redeemable at par (£960), plus interest. They had had a very good year regarding the Publications Account, the whole idea being to sell as cheaply as possible. He would like to say how great a debt they owed to Mr. and Mrs. Speed, for all their work in connection with the library. It paid to have large quantities printed. They had obtained another 5,000 Beginners’ Handbooks, which had reached the astonishing figure of 15,000. They had 2,000 copies of Minor Methods, which worked out at 3s. 4½d. per copy. If it was only 1,000 the cost would have been 5s. 8½d. Trade discounts, £9, arose from people who ordered books through booksellers and not from the Council’s library. Mr. Barnett moved and Mr. J. T. Dunwoody seconded the adoption of the accounts.- Agreed. The honorary secretary reported that the Standing Committee at its meeting the previous evening made a number of recommendations. In accordance with the instructions of the Cardiff meeting the committee considered the use of the interest on the Glenn Bequest and recommended that the interest from the fund should be allocated for the Sunday Service Ringing and Education Committee. The committee also suggested that members might consider, when he retired, the outstanding services to the nation of Sir Winston Churchill. The report, signed by Mr. J. F. Smallwood (convener), stated: “Your committee is able to report that despite continued rising costs, a satisfactory balance resulted on the year’s working. Analysis of this balance discloses that it is mainly due to donations and interest on investments. The net profit, in view of the size of the turnover, is small. We have not yet felt the full impact of the last increase in printing costs, which came into force in the last quarter of the year, and it is probable that the balance for the present year’s trading, even if donations continue at their present level, will be considerably smaller. “Your committee took note of sentiments expressed last year by the Council, and being in full agreement with them decided to increase the Editor’s salary as from July 1st. We deeply appreciate Mr. White’s conscientious work and shall not easily forget his action in the very difficult years when he voluntarily relinquished a portion of his salary to help us in our effort to keep solvent. It is our earnest hope that he will be able to continue his useful work for many years. “During the year a new series of articles on ‘Up and coming youngsters’ was planned, and is now appearing. Your committee is most grateful to the writer of these articles, and all other contributors of literary articles to provide instruction and interest. Those who initialled the correspondence on the improvement of bell stays and oddstruck bells are to be especially congratulated and thanked. Mr. Smallwood moved the adoption of the report, and Mr. R. S. Anderson seconded. The report was adopted. Sundry creditors £588 (£587); amounts received in advance for postal subscriptions and notices £1,536 (£1,424); Capital Account carry forward £7,131; profit for year £743; making £7,878; total £10,003 (£9,207). On the other side were debtors £1,028 (£986); investments at cost £5,800 (£5,800); cash at bank £2,666 7s. 4d. (£1,997); amount due from the Central Council £508 (£423); total £10,003. To Woodbridge Press.- Printing £5,040 (£4,830); blocks £157 (£171); total £5,196 11s. Editorial Office Expenses.- Editor’s fees and expenses £689 (£539); clerical assistance £199 (£192); postage and sundries £27 (£22); total £914 12s. Postal Subscribers.- Dispatch of copies £1,237 (£1,042); addressing and wrappers £340 6s. 9d. (£307); total £1,577. Accounts Department.- Clerical assistance and expenses £234 (£208); postage £28 (£25); stationery and sundries £40 (£37); total £303. Commenting on the accounts, Mr. Barnett said regarding the Profit and Loss Account expenditure had risen under most headings. There was an increase of £200 on the cost of dispatch of copies, which was due partly to the increased ½d. on postage, this being the first full year. There had been a further drop of £50 in income from Rolls House, but on the other hand an extra £150 had been received from the sale of postal copies, which was very gratifying. Other receipts were very much the same. The profit of £747 was very satisfactory in the circumstances, but £450 came from donations and £265 from investments. On the balance sheet the £508 due from the Central Council to “The Ringing World” was more or less an internal transaction. He moved the adoption of the accounts. Mr. F. I. Hairs seconded, and the accounts were adopted. Messrs. J. F. Smallwood, F. I. Hairs, R. S. Anderson and W. G. Wilson were re-elected to the committee on the proposition of Mr. F. W. Perrens, seconded by Mr. W. Ayre. (1) The methods rung as Durham Surprise Major, Royal and Maximus are not acceptable extensions of Durham Surprise Minor. (2) The Royal and Maximus are acceptable extensions of the Major. (3) One new name should be given to the Major, Royal and Maximus by the Leicester Diocesan Guild. C. KENNETH LEWIS (Convener), Woodstock, 52, Wellington Road, Altrincham, Cheshire. Mr. C. K. Lewis moved the adoption of the report and Mr. F. T. Blagrove seconded. Mr. P. J. Staniforth said they had renamed the extensions “New Durham”; were they acceptable? Mr. Lewis: I have consulted other members of the committee and we are quite satisfied with New Durham. Canon Felstead said he had been a member of the committee for 15 years and he would like to retire. The hon. secretary said he felt the retirement of Canon Felstead should not go unmarked. It was his privilege to be one of the members of the new committee formed in 1948 when the previous committee faded out. They did not have much to go on. Canon Felstead contributed some interesting points. Mr. C. K. Lewis said as sole survivor of the 1948 committee they would miss Canon Felstead very much. They were very grateful for what he had done, and he thanked him personally on behalf of the committee. The report was adopted and the committee elected, consisting of Messrs. C. K. Lewis, F. T. Blagrove and J. R. Mayne. ADVICE GIVEN FOR 68 CHURCHES. - ARCHITECTS CRITICISED. - EDUCATIONAL PAMPHLET TO BE PREPARED ON TECHNICAL MATTERS. - FACULTY PETITION MOTION FROM TRURO GUILD. During the year 1962 the work of the Towers and Belfries Committee diminished a little. Advice on bell and tower restoration was given in 68 churches, 13 less than the outstanding peak year 1961, but still far above the average for the past. This diminution is not due in any way to a lack of interest in bell restoration but to the fact that we have now completed the first cycle of inspections occasioned by the passing of the “Quinquennial Inspection of Churches Measure,” A tremendous amount of bell restoration is contemplated and will be done in the future. Naturally much has had to be postponed while urgent repairs to the fabric of our churches, revealed by the first cycle of architects’ reports, was put in hand. The 68 churches in which advice was sought in 1962 may be analysed geographically thus Berkshire 4, Breconshire 1, Buckinghamshire 4, Caernarvonshire 1, Cambridgeshire 2, Cheshire 2, Cornwall 2, Derbyshire 1, Devonshire 7, Dorset 2, Essex 1, Gloucestershire 1, Hampshire 1, Herefordshire 1, Hertfordshire 1, Huntingdonshire 1, Kent 1, Nottinghamshire 1, Northamptonshire 6, Oxfordshire 5, Somerset 15, Staffordshire 1, Surrey 1, Sussex 1, Warwickshire 2, Yorkshire 1, Overseas 2. Of the total of 68 reports, 13 were dealt with by correspondence, including the two from overseas - one in South Africa and the other in Australia. The remainder were visited by members of the committee. In addition, the Convener has again given over 20 lectures to diocesan, architectural and professional organisations. For the first time for many years no advice was sought on augmentation. In six towers advice was given on recasting. Thirty-one churches sought advice on rehanging or were advised by members of the committee to completely rehang their bells. The number seeking advice on repair and maintenance is higher in proportion this year and has reached it peak figure of 37. Also at an exceptionally high level is the number of churches where extensive damage has been done to masonry or where there are structural defects in towers, and this year these were 11 in number. Advice on sound control and modification was given in 17 churches. It will be noted that the largest number of enquiries came from the West Country, Somerset heading the list. Here Mr. W. Osborn and Mr. H. Sanger have done much excellent work, and we welcome the latter to our committee. In view of the fact that we expect much restoration work in the future, it would be wise if members would emphasise the necessity of obtaining a faculty, or alternatively, if the work is of a minor character, an Archdeacon’s Certificate, before any work is done. Recently advice was sought in a tower where bells and gear had been dismantled and restoration work put in hand without either the chancellor of the diocese, the archdeacon or an architect being consulted, and without a professional bellhanger being employed. Again, when restoration work is necessary to both tower and bells, it is important that the two should be done together. In two instances attention has had to be drawn to cases where bells have been put into excellent ringing order and no attempt made to stitch and bond vertical vibration cracks in the masonry of the tower walls. FREDERICK SHARPE, F.S.A., F.I.O.B (Convener), Derwen, Launton, Bicester, Oxon. B. Austin, A.R.I.B.A. ; J. W. Clarke; F. E. Collins; J. Freeman; E. H. Lewis; W. A. Osborn; H. J. Sanger; J. G. M. Scott, M.A. ; B. D. Threlfall, M.A., A.M.I.C.E. Mr. Sharpe, in moving the adoption, said the report was compiled from statistics sent in from individual members of the committee. who 50 years ago presented his first report on Towers and Belfries. Mr. E. H. Lewis, seconding, said owing to infirmity and living in Scotland, he would like to say he had done no work for the committee during the year. He could not travel 400 to 500 miles from Scotland, but if re-elected he would be prepared to answer any question by post. So far as the Towers and Belfries Committee was concerned he looked upon it as his jubilee. It was at the Newcastle meeting on May 13th, 1913, that he first reported verbally to the Council on the result of investigations undertaken by him into the action between bells, and he wanted to say now that he did not wish to alter a single word he said to the Council then nor to alter a single word to what he contributed to Sir Arthur Heywood’s book a year later. Sir Arthur Heywood gave him six copies: they were all borrowed and not returned, and when he wanted to talk to the Council on a matter of fact he had to borrow a copy from the librarian. As the result of these investigations he had visited a number of towers, and he would like to mention three. The first was Croydon Parish Church. In that case he suggested a circular band of concrete. The second was Boston Stump. It was reported in “The Ringing World” what he recommended. The third was typical of a number of towers that had been split. A few years ago he was called into Handley, Cheshire, where the east and west walls were split from top to bottom, and in the ringing chamber there was a crack large enough to put one’s hand in. What he recommended was a girdle round the tower to bind it together, and the bells to be rehung so instead of swinging north to south would swing east to west. All he could say was that quite a few peals had been rung at Handley. Canon K. W. H. Felstead congratulated the committee on all the work they had done, but he would like to make a suggestion. Many members of the Council were members of diocesan advisory committees specifically for bells. He noticed that there was a report from a tower in Hampshire. When the matter came before the Diocesan Advisory Committee he knew nothing about the report. He suggested that when requests were received to report on a church the member of the advisory committee should be invited to be present at that inspection. Mr. F. Sharpe said he appreciated Canon Felstead’s suggestion. When one received an invitation to meet the church architect, churchwarden or vicar it was not always easy to fix a convenient date. Last year he spent 44 days on inspections, and it was not always easy to contact a third person. If it was possible they would do it. They did not wish to be discourteous but there were circumstances at times that made it difficult. Canon Felstead replied that he would not regard it as discourteous if he did not hear as he fully appreciated the difficulties. Mr. P. A. Corby said last year the Towers and Belfries Committee were asked for information in the matter of professional fees charged by architects in respect of bell work. He wondered if the committee had any answer to the question. Mr. F. Sharpe replied that nothing further had been investigated. They all knew that in a building contract there were sub-contracts, and an architect was entitled to a percentage charge. Mr. B. Austin said this affected him in two ways. In a church and bell restoration say, the church costing £3,000 and the bells £400, it seemed a little unfair perhaps that the architect was taking a fee on £3,400. There was a way round it which happened in hospital work. Where a small extension contained expensive equipment, the percentage fee on the building was scaled and there was a considerable reduction on the special work. He suggested that the way round from the R.I.B.A.’s point of view was that a special case be made out. Mr. T. J. Lock said they did provide in the bills of quantities provision for such scales and that there were sums of money under the heading “direct payments.” The effect of that was that no profit was shown under that heading, and the order for the provision and delivery of that work was directed by the employer. Mr. F. Sharpe said they were really in the hands of the architects. If they proceeded by way of bills of quantities the thing to do if they had a bell restoration which was part of a church restoration was to warn the rector and P.C.C. and try and get them to treat the bells separately. 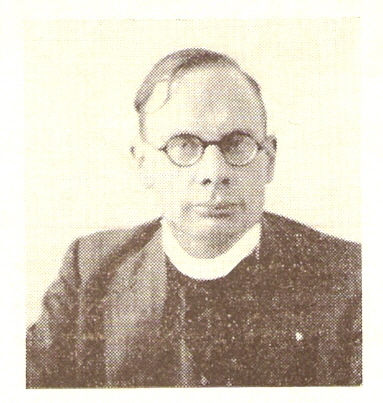 Mr. H. L. Roper suggested that the advice be published in “The Ringing World” and one or more of the Church newspapers. Mr. P. A. Corby said lay people would not understand that they would have to pay fees in the matter of bells. The average layman knew nothing about bells; he relied on his professional adviser, or the bellhanger or the Central Council. It did not seem equitable that he should receive a 10 per cent. fee. If he could help Mr. Sharpe in making public the matter he would be delighted to do so. The President: We are exceedingly grateful to Mr. Sharpe and all those who have shared in this very important work. The report was then adopted. On the proposition of Mr. Corby, seconded by Mr. Ayre, the Committee was re-elected. Congratulations were then extended to Mr. Edwin Lewis on his jubilee. That all chancellors be urged to ensure that in all faculty petitions arising as a result of quinquennial surveys of consecrated buildings expert opinion has been taken in matters of bells, their frames and hanging, such matters being normally outside the usual work of the surveying architect; and when architect and experts are not in agreement note to be taken of such disagreement. In the absence of Mr. A. J. Davidson, the hon. secretary formally seconded the amended motion. Mr. H. L. Roper: May I ask before we discuss this what effect this motion will have and what will the Council do to circulate it to the various dioceses? It may be idle to discuss it if nothing is done. The hon. secretary: This matter was touched on at the Standing Committee last night. It was suggested that it should be debated and then referred to the Towers and Belfries Committee. The Rev. J. G. M. Scott said he was a new boy on the Towers and Belfries Committee. They had heard from Mr. Lewis that 50 years ago he first put forward the knowledge which had become general among bellhangers and people like themselves. But 50 years was a very short time to educate most ringers and architects. Old ringers would tell them that it was good for the frame to have a little give in it. As regards the architects, it was very hard to educate them and tell them what Mr. Lewis discovered over 50 years ago. Mr. Scott said he could not give him a copy of Sir Arthur Heywood’s, and there were not enough technical detail in the “Preservation of Bells.” Would it be possible, he asked, for Mr. Sharpe, Mr. Lewis and Mr. Austin to produce something in cyclostyle, something they could put into the hands of architects? Mr. Austin confessed that he felt like a black sheep at that meeting. He said it would be very helpful to architects to have this sort of information they could draw upon. It must be factual right up to the last detail. If the Towers and Belfries Committee could compile something of this nature it would answer the question. He was glad the wording of the motion had been altered, and he was for it. Mr. Kenneth Lewis proposed that the motion be referred to the Towers and Belfries Committee to prepare something. Canon Felstead said he was sure the final wording would have to be extremely carefully done, especially so when dealing with diocesan chancellors. Mr. P. A. Corby said they could now see why he did not think the architects should draw fees on bell restorations. His purpose in raising the matter was to draw attention to the methods of these so-called experts. One expert he knew of gave advice which was completely misleading about bells and resulted in a waste of money. It was a case of rehanging in an existing frame which was against the advice of the bellhangers. He gave the opinion that the old frame was good for another 100 years whereas it was only good for five minutes. It was hardly possible to ring the bells now. Mr. John Freeman said he did not think they should be too hard on the architects. On two occasions he knew that a sound job had not been done because the local ringers thought they knew better than the bellhanger. In a tower of North Lincolnshire the bells were to be rehung. There was considerable movement of the frame, but the local ringers thought that it was not because the bells were rung too high in the tower but it was all right when the wind blew in a certain direction. They had to co-operate with architects and there was need for a great deal of propaganda among ringers. Mr. Brian Threlfall said he would like to take up the point made by Mr. Scott of more facts. They had a Central Council publication, “The Care and Preservation of Bells” which was reprinted a year ago and partly rewritten. It was done somewhat in a hurry. They had 1,700 copies still in stock, having sold 370. Might he suggest that they revise the work thoroughly? Mr. R. F. B. Speed said of the 300 copies they sold, 200 went to one diocese. In summing-up a “most interesting discussion,” Mr. Sharpe said regarding the architects they had sometimes to prove to them that the bells were hanging in the wrong direction. He put this point to one architect by saying: “If you refuse you will be called in in ten years’ time to advise on a crack in the tower wall.” It seemed to him that what was needed was to reprint the Towers and Bell Preservation book which in substance contains all the original pleas. In addition they should publish a book of this type. It should be written in conjunction with the latest preservation book because a lot had happened since 1914. In regard to educating architects and ringers, in these college courses lectures had been given to the ordinary rank and file in the elementary principles. He also lectured at the Institute of Architectural Studies. As to chancellors, they could not tell what a chancellor was going to do. All the diocesan advisory committees were linked with the Central Council for the Care of Churches. They had a conference with them two or three years ago, and the result was they reached agreement, and that agreement had been printed in the Preservation Booklet. He suggested that more use be made of that booklet. So far as the quinquennial survey was concerned, the law of England was that all churches be surveyed once in every five years, and also its contents. The architect could call in a special adviser, and in such cases the fees were not paid to the architect but the special adviser. They did sometimes get a chance of going along and advising the architect. It was not a case of nothing being done. A lot had been done. In their library there was that wonderful treatise written by Mr. Lewis 50 years ago, which formed the basis of what they had published. He appealed to members of the Council to make use of the library. The Council decided that the motion as amended be referred to the Towers and Belfries Committee. Although two new members joined the Council in 1962, the last year of the present Council, the total of those who through the years have been members remains as before at slightly under 800. This is due to the discovery of a few persons who in the early years of the Council were present as visitors at meetings and became included in the attendance as official representatives of Societies which did not elect them. We have for some time known of one important gentleman who was present at the 1891 meeting, included in the attendance as representing a Society which, however, did not elect members to the first Council. Those known to be passed to their rest now total 409, leaving 379 who in the present state of our knowledge must be presumed living. It is probable that this figure of 409 should be greater. The attention of present members of the Council is directed to a list which appeared recently in “The Ringing World,” containing the names of 13 former members who share three characteristics: (1) They were in most cases elected for short periods; (2) They did not attend any meeting of the Council; (3) The Biographies Committee has no knowledge of them, beyond the fact of their election. Not even their addresses were known. It is possible that some of these persons are known to present members, and any information regarding them, however slight, would be welcomed. The following deaths of members and past members have been reported since those up to the end of January, 1961, included in our report to the 1962 meeting at Cardiff: Ernest Morris, Leicester Diocesan Guild, 1960-62 (attended two meetings); H. E. C. Goodenough, Hertford County Association, 1936-47 (two meetings); Miss M. E. Snowdon, Life Member, 1952-62 (no meeting); Ernest Stitch, Llandaff and Monmouth Diocesan Association, 1939-50 (six meetings); Daniel Smith, Barnsley and District Association, 1948-50 (no meeting). At the time of preparing the text of this report the number of deaths of past or present members noted since our meeting at Cardiff is small when compared with the long lists of recent years, yet it contains one of significant importance. The death of Miss M. Snowdon ends a 90 years’ link with the Snowdon family. Her brothers Jasper and William rang their first peal on December 7th, 1872, and early volumes of “Church Bells” were seldom without a contribution from one or other of them. The name will continue but without a living representative. We are again indebted to very many for help cheerfully given in what are often quite complicated enquiries. To mention one, Mr. T. J. Lock has kindly undertaken the task of a search of back volumes of Crockford’s Clerical Directory for information regarding eight clergymen about whom we know very little. Another massive operation began about the time of the death of Miss M. Snowdon with some letters written just before his death by Mr. S. Flint, who knew and rang with the late Mr. W. Bentham. An enquiry of Mr. J. Ridyard resulted in a whole train of letters leading to the loan of photographs of Miss Snowdon, also of group photographs containing the late W. Bentham. We are very grateful to all at Wigan and elsewhere who assisted. With the ready co-operation of Miss Hill and with others of Bishop’s Stortford we were put in touch with a son of the late Mr. H. Dew, whose death was reported in 1958 and who was present at three of our meetings about 60 years ago. Later in life a busy professional man, he could spare little time for ringing, but throughout all his life he did ring and assisted with teaching. We hope this contact will result in the loan of a photograph. A. C. HAZELDEN (Convener), 109, Grange Road, Guildford, Surrey. L. STILLWELL, W. H. VIGGERS, J. WILLIS. Moving the adoption of the report, Mr. A. Hazelden said since the letter appeared in “The Ringing World” they had received three replies, of whom two were well. He regretted the retirement of Mr. Len Stilwell but welcomed Mr. Tom Lock to the committee. Mr. W. H. Viggers, in seconding, said 44 biographies were in the process of being written. All new members of the Council had been supplied with a questionnaire, which he asked should be returned with a photograph to Mr. Hazelden. The report was adopted and also the election of Messrs. A. C. Hazelden, W. H. Viggers, J. Willis and T. Lock to the committee. ENCOURAGING SURVEY OF WIDE INTEREST IN BELLS AND RINGING. - BELLRINGERS RECEIVE PUBLIC SYMPATHY FROM BISHOP’S ATTACK. - PUBLICATIONS LISTED. We desire to open this report with an expression of deep regret at the loss during the year of Mr. Ernest Morris, F.R.Hist.S., our beloved historian and antiquarian. Mr. Morris was probably the most important link between our art and the general public, and his authority, integrity and industry made his name known and respected not only in this land but in America and the far countries of the world. The Literature Committee wishes to record its sincere appreciation of Mr. Morris’ help and unflagging enthusiasm for the cause of bellringing. “The Star Rotherham Magazine,” in a short article on the bellringers of All Saints’ Church, remarks: “Time probably touches the bells and their message less than most things,” and this comment perhaps helps to explain the continued popularity of essays on bells and ringing. The past year seems to have indicated an increasing number of visits to belfries by reporters, particularly round about the end of the year, and the resulting articles have been almost invariably restrained and informative. Much emphasis has naturally fallen on the work of young ringers, and lay writers have clearly been impressed by this feature. “Murder in the Belfry,” in “The Sunday Post,” was lighthearted, good-natured and somewhat vulgar, and in “The New Strand” David Boyce discoursed cheerfully under the heading “Bells Are So Bellicose”; but alongside these trivialities we have a good survey of bells in Northamptonshire in “The Northampton Advertiser,” a well-written interview with Mr. Arthur Hoare in “The South Wales Evening Post,” the South Wigston youngsters in “The Leicester Evening Mail” and (a very pleasant and thoughtful essay) Marjorie Craddock writing in “The Hereford Times” on a visit to the Cathedral tower. From Ireland we have a number of feature articles, among them the ringing for the New Year in “The Evening Herald,” accompanied by photographs of ringers at various Dublin churches, the Ballymena lady ringers in “The Weekly Telegraph,” and Christmas ringing, showing John Irwin and the Lurgan band in “Belfast Telegraph.” “Cork Examiner” gave prominence to a reporter’s visit to the belfry of St. Fin Barre’s Cathedral and his talk with Fred Bogan. The articles on ringers and ringing this year are of high standard, and among those we have received we may cite the following as examples, “The Exeter Express and Echo” gave a survey of the restoration of St. Petrock’s bells and the plans for the forming of a ringing society; the articles by J. Cassidy in “The Ashton Reporter” discoursed on the bells of St. Michael and All Angels’, Ashton-under-Lyne, with reference to the redoubtable Sam Wood; and the summer issue of “Hertfordshire Countryside” printed an essay by E. A. Humphrey Fern on the county’s bells and founders. By a curious error the writer gives St. Albans Abbey eight bells only. Probably the two outstanding articles are the excellently-constructed account of the bells of St. Paul’s Cathedral by C. G. J. Watts in “The Record of Friends of St. Paul’s,” and “The Bells of All Saints’, Wraxall,” by B. J. Greenhill, in “The Clevedon Mercury.” Both these show evidence of much patient research, and their authoritative touches will be clear to the ringer and helpful to the public. “Edmonton County Grammar School Magazine” has provided some telling evidence of ringing activity in the School. Michael V. White, the geography master, writes broadly on bell history and the work of ringers, and tells of the formation of the School’s Guild. And in the December issue Jacqueline Hughes, aged 13, describes a visit to the bell foundry of Mears and Stainbank. Not only is her observation good but her little essay has a refreshing frankness. Of one stage of the visit she tells us: “This workshop smelt strongly of machine oil and grease and made me feel quite sick.” There is, however, evidence that the trip was much enjoyed. In “The Sign” for December, Ida Hancock provides a delightful account of her boys and the start of their ringing career. She writes as one who watches with interest, and her little story contains references to Dove’s immortal Directory, Ringers’ Diary, and “The Ringing World.” This kind of article provides our art with the very best publicity and must be highly commended. Readers of “The Guide,” and particularly these concerned with Guide badges, will welcome the friendly and dignified essay on Church Bell Ringing by E. A. Barnett in the issue of November 22nd. The secretary of the Central Council here offers an attractive approach to thought on the subject and some gentle advice for those likely to be interested. In June the bells at Eye were dedicated, and the pleasure of the occasion was marred by some unguarded and ill-chosen remarks by the Bishop of Dunwich on the conduct of bellringers on Sunday mornings. His words, taken from their context and prominently displayed by portions of the less reputable Press, received wide publicity. Sober opinion expressed by more restrained papers was clearly on the side of the bellringers, and “The East Anglian Daily Times” in a special leader deplored what it considered to be a slur on an important body of Church workers. We have left for final reference three articles that we believe to be the most important and valuable that have appeared during the year. In “Research Review,” Mr. John R. Mayne has written for general readers one of the clearest expositions of ringing and its value as a hobby that we have seen for some time. Mr. Geoffrey Dodds’ article, “Bells for the New Churches,” in “Church Building Today” should have received mention in our last report but did not come to our notice in time. The essay, meticulously planned, provides an important and authoritative view on the problem of providing towers and rings of bells for new churches, and it is to be hoped that it will receive serious consideration by diocesan bodies. The third work is the comprehensive and scholarly address given by Frederick Sharpe to the Friends of St. David’s. The monograph is printed in full in the Report of the Society, 1962, and without doubt has provided ringing with striking and highly-desirable publicity. We regret to notice the cessation of the publication of “The Ringers’ Magazine,” a popular journal whose pages covered a wide variety of interesting subjects for all ringers. We are pleased to note that its contemporaries continue to flourish: “The Belfry,” as usual, contains matter relating mainly to the Kent Association. “The Irish Bell News” this year received a record for circulation. “The Ringing Towers” has been completely reorganised. It is a much-improved paper, and contains articles of direct value to all Australian and New Zealand ringers and much matter of great interest to practitioners generally. “Overtones,” the fascinating quarterly of the American Guild of Handbell Ringers, continues to record the extraordinary spread of tune ringing, and in this connection we have seen the recent publication of “The Art of Handbell Ringing,” by Mrs. Nancy P. Tufts, an excellent instruction manual and guide for all interested in this branch of our hobby. The book has an attractive preface written by Frederick Sharpe. “The Ringers’ Note Book and Diary” has now become an established annual, and its popularity among young ringers is noticeable and encouraging. We conclude by welcoming the third edition of “A Bellringer’s Guide to the Church Bells of Britain.” Mr. Dove’s great work has now become a classic and, as a leader in “The Ringing World” remarks, “it has become an essential companion to all ringers who travel.” And, we now discover, it is at the Editor’s elbow on the editorial desk at Guildford! EDGAR C. SHEPHERD (Convener), 46, Manor Gardens, Warminster, Wilts. Proposing the adoption, Mr. F. E. Dukes said they would like to thank all who had contributed or sent articles to the Committee. Mr. J. T. Dunwoody seconded and the report was adopted. The Committee, consisting of Mr. Edgar C. Shepherd and Mr. F. E. Dukes, was re-elected on the proposition of Mr. Dunwoody. Mr. T. J. Lock said the Standing Committee had asked him to raise under “Any other business” a matter that occurred at the annual meeting of the Middlesex Association of printing a booklet containing all the Surprise Major methods that had been rung. The Association was naturally concerned with expense, and Mr. White intimated that he would print such information in “The Ringing World.” The type could be used for the booklet, which would serve a useful purpose for the Exercise. Two members - Mr. Blagrove and Mr. Mayne - had between then, a complete list. It was suggested that it should be considered by the Methods Committee and referred to the Standing Committee with power to act. The Middlesex Association would be willing to take it over in consultation with the Methods Committee. Mr. F. E. Dukes: The Methods Committee given the task of producing? Mr. Gordon Halls asked for information to be given of course-end leads. Mr. R. S. Anderson thought that such a book would have a very limited appeal. One rarely saw a new method rung a second time. Mr. Lock had given them no indication as to what the cost would be. The Council were being asked to commit themselves to something they did not know. Mr. R. F. B. Speed: Mr. Corrigan produced his in 1949, and many more Surprise methods have been rung since then. He thought this book would be of value and of use. Mr. J. R. Mayne said there had been for a long time a demand for this book. Surprise ringing was one of the most vital parts of ringing, and unless the Council produced such a book it would be embroiled with extension matters. Mr. Anderson had suggested that many of the methods were not rung more than once. He would point out that the Collection was indispensable to those who thought they had a new method. There was no place where people could consult. As to Mr. Halls’ question of printing false course ends he thought that should be left to the committee. The Council decided that the publication of the booklet should be left to the Methods Committee with power to act. STATE BROADCASTING AND TELEVISION COMMITTEE. - CHRISTMAS BROADCAST: ALL RECOMMENDATIONS EXCEPT ONE ACCEPTED. - SOME NOTED PROGRAMMES. From Northern Ireland we are again pleased to report that relations with the B.B C. are very good. Discussions have proved fruitful and led to a better understanding of problems on both sides. Various towers were heard on both sound and television during the year, and the standard of ringing was high. Radio Eireann also broadcast a fair number of bells in their territory, and interviews were recorded by the President, Mr. A. F. Bogan and Miss F. Wyman. Other than the Christmas broadcast, there is little to mention from Scotland. Whilst enthusiasm is great, opportunity is very small in this region and the use of bells in broadcasting is very rare. A number of items of interest appear from East Anglia. The legal ceremony of a new rector tolling a bell at his induction was televised and part of the televised induction service at St. Margaret’s, King’s Lynn. Recordings of Yarmouth bells were heard before and after each of seven epilogues given by Canon Thurlow on television, together with a picture of the church. The same pattern was used by at least three other clergy who took part in epilogues. Only once were bells used in a sound broadcast service. In the programme “What, Where and When” the tower secretary of Yarmouth sent a clapper tie and muffle, and the former foxed the panel. On December 31st Anglia Television presented an extremely interesting programme from Kirby-le-Soken; some excellent ringing was heard and there were shots of the bells in motion, the ringers and the church and village. Mr. Frank Lufkin and his company are to be congratulated on a first-class show. Little of interest has come to hand from the Midland Region, but some useful contacts have been made. Nothing worthy of note has come to our notice in the London Region, but we have been by no means idle, as will be seen in a later paragraph. In the West we have been blessed with by far the greatest opportunities since the formation of the committee. Firstly the making of the new recordings of Evercreech bells, and secondly participation in the production of the sound programme “Ring Out, Wild Bells.” The former was first discussed by the committee at a meeting in Cardiff, when the preliminary correspondence with the B.B.C. concerning this and other proposed recordings was put before them. Unfortunately a car accident to the B.B.C. executive responsible held up progress for some weeks, but eventually plans which we had formulated were accepted by the B.B.C. and the new Evercreech recordings were made. The scope of these was strictly limited in view of the decision to bring in other towers for use on the Light Programme. Almost before this job was completed we were approached by the Plymouth Studio with a request for help and advice in the production of an Anthology on Church Bells, to be entitled “Ring Out, Wild Bells.” This proved to be a most interesting venture, and eventually involved something over 350 miles of travel and a very considerable letter file. The producer, John Blunden, was found to be a first-class critic of bellringing, so much so in fact that he refused to use any of the existing recordings from the B.B.C library, which we are bound to agree were far from perfect, and new recordings to suit the programme had to be arranged and made, this with but a few weeks in hand before the broadcast. However, all went well, and with the exception of the Evercreech recording included, which became available at that time, some excellent recordings were made, and finally a most interesting and informative programme resulted. A few broadcast services included bells, among which were Alton, Hants, and St. Mary Redcliffe, Bristol. Advance notice of the former was kindly provided by the captain of the tower, and in this connection we would appreciate more news of similar events. At our meeting in Cardiff the Christmas broadcast of bells was fully discussed, and a plan which included six, eight and ten bells was prepared and later put up to the B.B.C. Later again a meeting with the executive responsible was arranged at Broadcasting House, London, and the plan elaborated. The result was that our recommendations were used in all regions except the Scottish, where the actual choice of tower was made by the B.B.C., and a satisfactory broadcast was heard. This meeting with the B.B.C. was also arranged to vet the Evercreech recording and was attended by Mr. Pitstow and the Convener, who were pleased to meet among others the Assistant Heads of Sound Recording and of Outside Broadcasts, together with some of the technicians responsible for these and future towers to be dealt with. An interesting and we feel profitable afternoon was spent, which did much to improve our relationship with the departments concerned by giving us the opportunity to discuss at first hand the many problems involved. Some correspondence has taken place with A.T.V. and A.B.C. Television: the former concerning some excellent ringing used in a Drama 66 play which we attempted, unsuccessfully, to identify, and the latter in connection with the use of bells before televised services. We attempted to get notice of the inclusion of the bells in programme publications, but we were informed that this was not possible. We were, however, informed that it was the policy of the company to include the bells whenever the church concerned had bells and ringers to man them, and to broadcast them for two minutes. This we feel is reasonable. The old Bow Bell recordings, the corrupted use of which was much criticised last year, have now been discontinued by the B.B.C. and an alternative signal substituted. We have had some talks with the B.B.C. with a view to increasing the little allowed on Sunday mornings, and have been promised an extension to three-and-a-half minutes. This will allow some of the short touches to be run through in their entirety. To date, personnel problems seem to be hindering this increase, but we hope our persistence will triumph in the end. (a) With regard to ringing before service broadcasts, we find that in general no problem about the inclusion of the bells exists where the relationship between ringers and clergy is good. Where, as is usual, these broadcasts are “live,” the whole programme is run to a very tight schedule, and ringers should be most careful to co-operate fully with the engineers on the job and take every advantage of the time allocated to the bells. With regard to the placing of microphones, it will be found that most of the sound engineers are very anxious to obtain the best balance possible, and in fact it is their job to do so. There are, however, many towers where it is quite impossible to do this and at the same time exclude all extraneous noise. This we have to accept. (b) Concerning the publication of these broadcast details in “The Radio Times” a recent investigation has shown that this can include the bells and captain of the ringers. In the West the Rev. Colin James is very keen to see that this is done, and a check on a recent omission proved the fault to be that of the printer. (c) The proposed Library of Church Bell Ringing, which the B.B.C. is anxious to build up, should give us a splendid opportunity to give of our best in a wide field and on the finest rings in the country. Although the severe weather has delayed work on this scheme, we hope that by the time the Council meets further progress will have been made. (d) Although the committee started from scratch only nine years ago, we feel that each year has seen at least some improvement in building up our standing with the broadcasting authorities, and has culminated in a year of very real progress in which we have enjoyed unprecedented co-operation. One of the problems not generally realised is that of changing personnel in executive positions. Just when you may think that you have someone well informed and becoming amenable you find a change his been made in that department and you have to start all over again. During the past year three changes were made with regard to the executive responsible for the Christmas broadcast. We look forward to continued progress in the presentation of our art to both listeners and viewers alike, and we hope to the satisfaction of the ringing fraternity. H. J. SANGER (Convener), Rockyville, Evercreech, Shepton Mallet, Somerset. D. A. BAYLES, J. T. DUNWOODY, G. E. FEARN, H. N. PITSTOW, A. G. G. THURLOW, R. S. WILSON. Mr. H. J. Sanger moved the adoption of the report and Mr. J. T. Dunwoody seconded. Mr. A. D. Barker asked if the committee had done anything about the alteration of the Bow Bells signal. There were few of them left who knew the people who made that record and of the tremendous difficulties they had in making it. Mr. Sanger replied that last year they protested at the way the record had been used and at the same time they were told by the B.B.C. that they were going to discontinue Bow Bells. Mr. E. A. Barnett: The greatest calamity was last Sunday, when instead of Evercreech there were traffic reports from all over the country. On the proposition of Mr. F. E. Dukes, seconded by Mr. Lock, the following were elected to the committee: Messrs. H. J. Sanger, D. A. Bayles, G. E. Fearn, J. T. Dunwoody, H. N. Pitstow, Canon Thurlow and Mr. R. S. Wilson. The compilation of the second book of compositions for Major methods is continuing although not a speedily as anticipated. The committee would be grateful to receive examples of modern, original compositions in the popular methods, providing they can be considered to be of some merit. Such contributions should be sent direct to the Convener. W. E. CRITCHLEY (Convener), 38, Castle Hills Road, Scawthorpe, Doncaster. G. E. FEIRN, A. J. PITMAN, R. F. B. SPEED. The report was adopted on the proposition of Mr. W. E. Critchley, seconded by Mr. G. E. Feirn. The committee were re-elected on the proposition of Mr. Dunwoody. Members of the Council and their friends on the Whit Monday tour arranged by the Norwich Diocesan Association. The picture was taken at Pulham Market. It was generally agreed at the last Central Council meeting that the best results in securing co-operation of theological colleges regarding church bells and bellringing could be obtained by means of personal contact. (1) To secure agreement of the Principal for a periodical lecture on church bells and bellringing, say once a year. Once established this privilege should not be allowed to lapse. (2) To enable the theological students to follow up the lecture by a visit to a suitable local tower to see the bells, fittings, etc., and see the ringers in action. (3) To arrange training facilities, if requested, for any theological students wishing to take up bellringing. (4) To encourage the authorities at each college to include in the library suitable books about church bells and bellringing. Accordingly, during 1962, some responsible person was asked to take action in the case of some 24 theological colleges. The original letter to these responsible people included copies of the leaflet recently circulated by the Central Council about Sunday service ringing, for use when introducing themselves to colleges, and the promise of a bound set of Central Council publications as a gift to college libraries in appropriate cases. It was also requested that those who took on responsibility for making contact with theological colleges should keep this committee informed of progress made so that continuity could be maintained in future years. (1) Satisfactory contacts made, lectures given and books presented. (2) Contacts made and hopes of giving talks, etc., but no further progress reported yet. (3) No reply, or acknowledgement only. No progress reported. There now follows a summary of the position to date regarding the various colleges. Queen’s, Birmingham.- Approached by Dr. D. N. Layton with a view to talks. Clifton, Bristol.- Mr. P. Gray gave a talk in 1959 but has been unable to obtain agreement for further talks despite persistent efforts. St. Augustine’s, Canterbury.- Mr. F. B. Lufkin gave a talk in 1961. Future talks in hands of Kent County Association. Bishop’s College, Cheshunt.- Mr. F. B. Lufkin has established contact. Correspondence to be passed to new Principal. Present Principal says ringing aspects and progress in hands of David Hoare (student ringer). Chichester.- Mr. R. G. Blackman has had a half-hour talk with Principal, who accepted C.C. books for library but has not yet agreed to lecture to students. Mr. Leslie Walker to continue Mr. Blackman’s efforts to establish talks. Cranmer Hall, Durham.- Mr. D. A, Bayles gave talk here in September, 1962. St. Chad’s, Durham.- Mr. D. A. Bayles: Principal is accepting C.C. books for library and an effort is being made to arrange a talk. Kelham, Notts.- Mr. N. Chaddock gave lecture and took teams of handbell ringers in January, 1963. Lincoln.- Mr. J. Freeman is proceeding with arrangements for talks. Students often visit Cathedral belfry. St. Michael’s, Llandaff.- Mr. J. Prior has sent copy of C.C. books and has arrangements for lecture in hand. London College of Divinity and Oak Hill College.- Mr. H. W. Rogers promised necessary action after consultation with Middlesex Association. Mirfield.- Mr. W. F. Moreton is making arrangements for talk. Ripon Hall, Wycliffe Hall and Cuddesdon have for some time been well covered by the Oxford Diocesan Guild. Divinity students at Trinity College, Dublin.- Mr. F. E. Dukes has given a lecture and presented books. St. Aidan’s, Birkenhead; Westcott House, Cambridge; Ridley Hall, Cambridge; Ely, Lichfield, Wells, Lampeter.- Replies have not yet been received from people approached during November, 1962. Progress is delayed by the fact that time allotted at theological colleges for occasional lectures outside the curriculum is very limited and booked up well in advance. Even when the Principal is favourably disposed a lecture may not be possible in the current term or year. If any Guild official, Council member or other responsible person is in a position to help, other than those mentioned in the report, it would be appreciated if such person would approach either the Convener or Mr. Lufkin. This section of the report was adopted on the proposition of Mr. Chaddock, seconded by Mr. Lufkin. In 1962 two courses in which members of this committee assisted were again very successful; one at Knuston Hall, Northants, and one at Grantley Hall, Yorks (the fourth in succession). A new course has been arranged at Hereford Training College in April, with an additional advanced course in composition and conducting to run concurrently at Hereford. The Grantley Hall Course this year will be held at the end of October, when it is half-term in many Yorkshire schools. Advice and information about courses in bell ringing was supplied to the Irish Association in response to their enquiry. During the year enquiries received by the Convener included requests for: (1) Guidance on giving talks on bellringing; (2) Guidance re a striking competition; (3) Belfry prayers; (4) Sale or loan of instructional film-strip (several enquiries). N. CHADDOCK (Convener), 17, Herringthorpe Grove, Brook, Rotherham, Yorks. W. F. MORETON, F. B. LUFKIN. Proposing the adoption, Mr. Chaddock said he would like to emphasise Mr. Sharpe’s remarks as to the importance of these courses. He had a list of ten Associations who were running courses. Canon Thurlow and Dr. Layton were unable to continue. He proposed that the name of Mr. Sharpe be added to the committee. Mr. W. F. Moreton seconded the adoption. In answer to a question as to the number of people attending courses, Mr. Chaddock said generally about 30 at each course. He imagined about 500 people had attended courses during the past 12 months. On the proposition of Mr. W. Ayre, Miss Cross was also added to the committee. Messrs. N. Chaddock, F. B. Lufkin and W. F. Moreton were re-elected. GRAND TOTAL OF 2,817 SWELLED BY HANDBELL PEALS. - LEICESTER LEADING GUILD, FOLLOWED BY OXFORD AND KENT. For the year 1962 there is an increase of 7 over the total for 1961, but this is mainly due to an influx of handbell peals. The grand total accepted and included is 2,817, with 2,627 on tower bells and 190 on handbells - the former down by 26 but the latter increasing by 33. A “peal” of Little Bob Minor is excluded as the method does not produce a 720. Two peals rung in July and October for the Worcestershire & Districts Association and published in the March 8th issue of “The Ringing World” have not been included. First pealers numbered 588, with 96 first as conductor - a very healthy sign and something to be encouraged. These seven totals constitute 39.75% of the whole. For what it is worth, the following might be of interest: 2 Associations or Guilds rang no peals; 4 rang 1 peal; 13 between 2 and 10; 6 between 11 and 20; 2 between 21 and 30; 3 between 31 and 40; 8 between 41 and 50; 6 between 51 and 60; 5 between 61 and 70; 1 between 71 and 80; 1 between 81 and 90; 2 between 91 and 100. Bath and Wells.- Doubles (3), 3 first pealers and first as conductor. Coventry D.- Doubles (1), 4 first and first as conductor; Doubles (10), 4 first; Doubles (3), 3 first. Bedfordshire A.- Spliced Surprise Major, 28, 25 methods. Chester D.- 15,904 Plain Bob Major on handbells. Durham and Newcastle.- 15,520 Yorkshire S. Major; Cambridge S. Major silent and non-conducted. Essex A.- 94, 83, 60, 50, 44 methods Spliced Minor. Gloucester and Bristol.- 85, 70, 65, 54, 48 methods Spliced Minor. Hertford.- Spliced Surprise Major; 20, 18 methods. Kent.- Spliced Surprise Major 15, 14 methods. Silent Stedman Triples. Spliced Minor 34, 26 methods; 8,640 Spliced Surprise Minor, 41 methods. Lancashire.- Spliced Surprise Royal: 11, 10 and 8 methods; 6 firsts in a peal of Stedman Triples. Leicester.- York S. Maximus; Royal and Major; New Cambridge Maximus, Yorkshire Maximus and Royal, 4-Spliced Surprise Major, Durham Surprise Royal (all on handbells). Lincoln.- Ullesthorpe Surprise Major, non-conducted. Middlesex.- London S. Major “in hand”; Spliced Surprise Major in 26, 22 methods. Oxford D.- 6 firsts in a peal of Stedman Triples. A young lady (16½) - 7 Minor methods, first as conductor. Salisbury.- First peal of Triples by all. Peal of Doubles - 4 first and first as conductor. University of London.- 55 methods, Doubles, on handbells; 15,000 Doubles, on handbells, 10,944 Rutland S. Major. Our apologies to any other worthy of mention which we may have omitted. Much time has been wasted through the duplication of peals in “The Ringing World.” Whose fault this is we do not know, but we ask our peal correspondents to try and obey the rules as asked for by the Editor: send them in promptly, and leave it to the conductor, who is really responsible. W. AYRE (Convener), The Old School House, Leverstock Green, Hemel Hempstead, Herts. K. W. H. FELSTEAD, H. L. ROPER. The report was seconded by Canon Felstead. Mr. Smallwood said the printing of the tables was an exceedingly costly thing. As a committee they did not feel disposed to spend the money, which was hard to come by. They could get the same information from the written report. Mr. D. Bayles asked if they intended to include the two peals of the Worcestershire and Districts Association. Mr. Ayre: No, they are excluded. They were not in in time. The report was adopted, and Mr. W. Ayre, Canon Felstead and Mr. H. L. Roper re-elected. ANALYSIS OF PEALS RUNG DURING THE YEAR 1962. Ancient Society of College Youths.- Maximus 3, Cinques 4, Royal 4, Caters 3, Major 3, Doubles 1. Total 18. Australian and New Zealand Association.- Royal (1), Major (1). Total (2). Bath and Wells.- Royal 1, Caters 1, Major 16, Triples 5, Minor 8, Doubles 21. Total 52. Bedfordshire.- Royal 2, Major 18, Triples 1, Minor 13, Doubles 3. Total 37. Cambridge U.- Royal 1, Major 8 (3), Triples 1, Minor 3 (4). Total 20 (7). Chester.- Maximus 3, Cinques 1, Royal 12 (1), Caters (2), Major 67 (7), Triples 7, Minor 42 (2), Doubles 11. Total 155 (10). Coventry.- Caters 1, Major 15 (1), Triples 4, Minor 9 (1), Doubles 12. Total 43 (2). Cumberland and North Westmorland.- Major 8, Triples 1, Minor 2. Total 11. Derby.- Royal 6, Caters 4, Major 20 (1), Triples 2, Minor 9 (1), Doubles 2. Total 45 (2). Guild of Devonshire.- Maximus 2, Royal 2. Caters 3, Major 7, Triples 5. Minor 9, Doubles 3. Total 31. Dudley and District.- Caters 2, Minor 1, Doubles (5). Total 8 (5). Durham and Newcastle.- Royal 7, Caters 1, Major 34 (2), Triples 4, Minor 9 (3), Doubles 1. Total 61 (5). E. Derby and Notts.- Minor 1. Total 1. E. Grinstead and D.- Major 1, Doubles 1. Total 2. Ely.- Major 22, Triples 1, Minor 24 (1), Doubles 6. Total 54 (1). Essex.- Maximus 2, Royal 3, Caters 2, Major 35 (1), Triples 3, Minor 40 (3), Doubles 2. Total 91 (4). Gloucester and Bristol.- Cinques 3, Royal 2, Caters 4, Major 27 (1), Triples 12, Minor 18 (3), Doubles 11. Total 81 (4). Guildford.- Major 16, Triples 6, Minor 12, Doubles 1. Total 35. Hereford.- Royal 2, Caters 1, Major 10, Triples 1, Minor 11 (1), Doubles 16. Total 42 (1). Hertford.- Maximus 1, Cinques 1, Royal 5, Caters 2, Major 30 (3), Triples 1, Minor 19 (2). Total 64 (5). Irish.- Royal 2, Major 7, Minor 1 (1), Doubles 1. Total 12 (1). Kent.- Maximus 1, Royal 6, Caters 3, Major 93 (3), Triples 11, Minor 47 (2), Doubles 4. Total 170 (5). Lancashire.- Maximus 8, Cinques 1, Royal 9, Caters 3, Major 62, Triples 16, Minor 32 (1), Doubles 8. Total 140 (1). Leicester.- Maximus 3 (3), Cinques 4, Royal 8 (4), Caters 5, Major 40 (11), Triples 14, Minor 55 (14), Doubles 28 (16). Total 205 (48). Lincoln.- Maximus 2, Cinques 7 (4), Royal 3, Caters 1 (1), Major 45, Triples 4, Minor 62 (2), Doubles 4. Total 135 (7). Llandaff and Monmouth.- Maximus 1, Cinques 1, Royal 2, Caters 7, Major 17 (2), Triples 8, Minor 5 (3), Doubles 2 (1). Total 49 (6). London C.- Royal 2, Major 2, Triples 3. Total 7. Midland C.- Royal 2, Major 20, Triples 1, Minor 14, Doubles 2. Total 39. Middlesex.- Maximus 1, Royal 1 (1), Major 41 (3), Triples 3 (1), Minor 8 (1), Doubles 1. Total 62 (6). Police.- Triples 1. Total 1. N. Staffs.- Royal 1, Caters 1, Major 6, Triples 3, Minor 5, Doubles 2. Total 18. N. Wales.- Royal 1, Major 1. Total 2. Norwich.- Maximus 1, Cinques 2, Royal 2, Major 22, Triples 3, Minor 22, Doubles 4 (1). Total 57 (1). Oxford D.- Maximus 5, Royal 4, Caters 7, Major 80, Triples 22, Minor 39, Doubles 21. Total 178. Oxford Society.- Cinques 2, Royal 1, Major 1. Total 4. Oxford University.- Royal 1, Major 3, Triples 1, Minor 1. Total 6. Peterborough.- Maximus 1, Royal 3, Major 22, Triples 2, Minor 21, Doubles 23. Total 72. St David’s.- Major 1. Total 1. St. Martin’s.- Maximus 5, Cinques 2, Royal 11, Major 21, Triples 3, Minor 2 (3). Total 47 (3). Salisbury.- Cinques 1, Major 8, Triples 7, Minor 5, Doubles 7. Total 28. Scottish.- Major 6, Doubles 1. Total 7. Sheffield and District.- Minor 1. Total 1. Shropshire.- Maximus 1, Royal 1, Caters 1, Major 12, Triples 5, Minor 23 (4), Doubles 3. Total 50 (4). Society of Royal Cumberland.- Cinques 1, Caters 1, Major 6. Total 8. Society of Sherwood Y.- Royal 1, Caters 1, Major 4, Minor 1 (2). Total 9 (2). Southwell.- Maximus 2, Cinques 1, Royal 1, Caters 1, Major 10, Triples 5, Minor 16 (1), Doubles 9. Total 46 (1). Stafford Archdeaconry.- Maximus 2, Royal 9, Caters 4, Major 7, Triples 7, Minor 8, Doubles 7. Total 44. Suffolk.- Maximus 3, Royal 6, Caters 2, Major 19, Triples 2, Minor 23, Doubles 1. Total 56. Surrey.- Royal 2, Caters 1, Major 19, Minor 13 (2). Total 37 (2). Sussex.- Royal 2, Caters 2, Major 36, Triples 5 (1), Minor 14, Doubles 4 (1). Total 65 (2). Swansea and Brecon.- Major 2, Triples 1, Doubles 2, Minimus 1. Total 6. Truro.- Royal 1, Caters 2, Major 5, Triples 3, Minor 5, Doubles 3. Total 19. Universities.- Caters 1, Major 2 (2), Minor 2 (1). Total 8 (3). University of Bristol.- Cinques 1, Royal 1, Caters 1, Major 1, Minor 3, Doubles 1. Total 8. University of London.- Major 10, Triples 2, Minor 3 (2), Doubles 2 (5). Total 24 (7). Winchester and Portsmouth.- Maximus 2, Cinques 1, Royal 5, Caters 6, Major 34 (4), Triples 6, Minor 19 (3), Doubles 11. Total 91 (8). Worcestershire and D.- Maximus 2, Cinques 2, Royal 2, Major 10 (1), Triples 7, Minor 12 (1), Doubles 13 (7). Total 57 (9). Yorkshire.- Maximus 3 (1), Cinques 2 (1), Royal 18 (8), Caters 2 (3), Major 58 (6), Triples 2, Minor 28, Doubles 4 (1). Total 137 (20). Other Societies and Unattached.- Maximus 1, Royal 1, Major 23 (2), Triples 1, Minor 21 (4), Doubles 5. Total 58 (6). The totals are complete, with handbell peals in parentheses. Maximus.- Cambridge 24, Yorkshire 15. Royal.- Cambridge 41, London 14, Yorkshire 30, Plain Bob 32. Caters.- Grandsire 49, Stedman 29. Major.- Spliced Surprise 6 methods 14, Spliced Surprise 4 methods 22, Bristol 58, Cambridge 114, Lincolnshire 40, London 60, Pudsey 21, Rutland 46, Superlative 28, Yorkshire 137, Kent T.B. 33, D. Norwich 66, Plain Bob 218. Triples.- Grandsire 114, Stedman 67, Plain Bob 21. Minor.- 22 methods and over 22, 14-21 methods 21, 8-13 methods 49, 7 methods 170, 6 methods 27, 5 methods 39, 4 methods 48, methods 41, 2 methods 29, 1 method 364. Doubles.- 14 methods and over 40, 8-13 methods 35, 7 methods 19, 6 methods 14, 5 methods 12, 4 methods 16, 3 methods 30, 2 methods 32, 1 method 102. The hon. secretary reported that for the second year the Peal Boards Committee had failed to produce a report, and he had had no correspondence about the committee. The Standing Committee recommended that the Peal Boards Committee be discontinued and all matter collected be sent to the Librarian, and the best thanks of the Council be accorded to the committee. This was proposed by Mr. W. Ayre and seconded by Mr. R. S. Anderson and carried. It was proposed by Mr. G. Dodds and seconded by Mr. W. Ayre that the good wishes of the Central Council be extended to the American Guild of English Handbell Ringers.- Agreed. 14, 5,040 Cringleford Imp. Bob Triples, Norwich. 9, 10,944 Rutland S.M., London Univ. Nov. 14, 15,000 Doubles (25 methods) (longest length), London University. With reference to the peal of Durham Surprise Royal on handbells, the committee would like direction regarding the renaming of this method, which does not comply with the Council’s Decisions (see “R.W.”, March 8th, 1963, page 154). E. K. FLETCHER (Convener), The White House, Caister-on-Sea, Great Yarmouth, Norfolk. L. K. MARSHALL, JOHN R. MAYNE, F. T. BLAGROVE. The adoption of the report was moved by Mr. F. T. Blagrove, who said while they thanked one or two who sent compositions of new methods to the Convener, many did not. The secretary of every Association should send compositions of new methods to the Convener. Mr. J. Mayne seconded the adoption. The Hon. Secretary: The Standing Committee recommended that Deddington Hybrid Major be called Deddington Little Alliance Major, and Durham, New Durham. The report and Standing Committee’s recommendations were adopted, and Mrs. G. W. Fletcher, Mrs. C. C. Marshall, Messrs. F. T. Blagrove and J. R. Mayne were re-elected to the committee. There were 44 absent and 7 vacancies. The attendance was the second best, the highest being at Stoke-on-Trent to 1961 with 147 present. The following constitute the Standing Committee: Canon Thurlow, Messrs. F. Sharpe, J. Freeman, E. A. Barnett, F. W. Perrens, A. A. Hughes, H. N. Pitstow, E. H. Lewis, G. W. Fletcher, A. C. Hazelden, H. J. Sanger, E. C. Shepherd, C. K. Lewis, W. Ayre, W. E. Critchley, F. T. Blagrove, J. F. Smallwood, N. Chaddock and G. W. Pipe, and the following elected by ballot: Messrs. R. S. Anderson, W. B. Cartwright, Miss M. R. Cross, Messrs. F. E. Dukes, F. I. Hairs, T. J. Lock, R. F. B. Speed, P. J. Staniforth, Mrs. Staniforth, Mr. W. G. Wilson and Mrs. Barnett. This year I have the pleasure of presenting to the Council a report on ringing activities overseas. It is something new amongst the various reports by the sub-committees, but it was felt that since the art is being practised in probably more overseas centres today than at any time, and in some places at very high standard, ringers “at home” would be more than just interested in what the fraternity is doing in these centres. I have received details from over 30 towers in seven different countries where change-ringing is taking place. There are also one or two other centres which I haven’t been able to contact but where ringing is known to go on. Africa.- The amazing thing about these vast territories is that isolated bands, with sometimes more than 1,000 miles between, manage to keep going. But they do! Salisbury (10, 24¾ cwt. ), in Rhodesia, has a membership of about 20, and besides Doubles and Minor in the tower handbells are often rung to Major, and occasionally Caters and Royal. Their first peal, Grandsire Doubles, was rung last year for the consecration anniversary, together with two or three quarters. It is also rumoured that a light six may be installed at Que Que, 100 miles away. With the handbell societies at Marandellas and Umvukwes, under Peter Raynor and Val Grossmith, things here are quite flourishing. The two Durban towers in Natal are kept going by Cyril Chambers; but again, through distance and lack of members, it is a struggle. Six-bell methods are rung from time to time, and two quarters were attempted in 1962. Woodstock, in Cape Province, is well known to us through “The Ringing World,” and we remember Vic Sheppard’s work here. This tower has quite a repertoire, and no doubt occasional visits from people passing through Cape Town give the welcome boost from time to time. The ring at Grahamstown is reputed unringable, but Kimberley in Cape Province may be getting an installation in the future. Canada.- With my wife I had the pleasure of passing through Canada only two months ago, so I am able to report with authority! Starting in the West, we find three very progressive towers in British Columbia, all fine rings of bells and with the ringing blended with the traditional Canadian hospitality. At the Benedictine Monastery in the Mission City (Westminster Abbey, B.C.) with a ring of ten (21 cwt.) the fathers are capable of ringing Grandsire and Stedman Caters under Fr. Dunstan. Vancouver, set in what must be one of the loveliest locations for a city in the world, has an octave in the R.C. Cathedral, and under Ted Lee, a Notts man, Sunday service and practice nights yield Plain and Grandsire Triples. Long before one visits Victoria Cathedral on Vancouver Island, one has heard about us fine eight and the Izard family who ring them. The octave there (29½ cwt. in D flat) are often heard to Kent and Plain Bob Major and Stedman Triples. Two quarters were scored in 1962. U.S.A.- No details are to hand. New Zealand.- The two active bands in this far-off country both have very fine rings and by all accounts make optimum use of them. Hamilton (8, 20½ cwt, in E) in the North Island rings mostly a variety of 6-bell methods, but given a visitor or two (or preferably settlers!) Triples and Major are soon heard. Athol Caldwell and David McAdam carry on the good work, which in the early “50”s saw the assistance of A. J. (Bert) Lancefield and others. In the South Island the very noble ten (32 cwt. in D) of Christchurch makes this a “must” for collectors of fine rings! Several well-known ringers have been and still are linked with this tower, and ever-active secretary Nelson Sloan, with Ray Idle, from Kettering, Northants, as conductor, sees to it that a high standard with variety of methods is maintained. A quarter and a 6-bell peal were scored last year, and it won’t be too long I’m sure before the first 10-bell peal is recorded at Christchurch. These ringers also occasionally ring on the light five (6 cwt.) at Papanui just outside. These bells were an insurance replacement, the original ring being lost at sea off the Cape of Good Hope in the last century. Australia.- Last but not least, to what is the largest ringing centre outside Britain. Through the revitalised Australian journal “Ringing Towers,” and I trust a fairly good coverage of activities published in “The Ringing World” over the last few years, I believe that members will have a clear picture of the activity there. I will, therefore, just briefly go from state to state and highlight main points of 1962-63 to conclude this report. In Perth (W.A.) the bells are ringing again after many years’ silence, and with the assistance of A. J. Lancefield the band has been built up from scratch to its first peal in virtually its first year, in addition to many quarters in a variety of methods. Considering this tower is over 1,600 miles from its next Society, great credit is due to the team. Adelaide (S.A.) continues to flourish, and this year the Cathedral band rang the first peal on the very fine eight (41¼ cwt. in C). A high standard prevails at this tower under Bill Pitcher and Enid Lloyd Roberts, and with the addition of the Wilfred Robinsons, Major is now rung, together with a variety of 6- and 7-bell methods and handbells. The 6-bell tower, Walkerville, is also very lively, with a goodly number of young members. In Victoria the two centres are Melbourne and Ballaarat - two towers in each. Bendigo, the third centre in this state, has its bells temporarily out of action. Five peals or so were rung last year, including Bob Royal on the back ten at Melbourne Cathedral and the first of Surprize Major outside Britain - also at the same tower. There were quarters at St. Patrick’s R.C. Cathedral under Ivan Page, and some useful elementary teaching has been done at Ballaarat and Bendigo. The two Hobart octaves are rung whenever possible - this being the only centre on the Island state of Tasmania. Sidney Smith, a Suffolk man, is the “old faithful” here and due to his patience several young ringers learnt the art in Hobart. New South Wales has the most rings of bells of any Australian state, all those ringable being manned for Sunday services. Under Ian Goodyear’s conductorship a great variety of methods - tower and hand - are recorded, and several quarters and peals were scored last year. Sydneysiders also occasionally journey up to Maryborough, the only Queensland tower, 900 miles north. All in all, Australia had probably the most successful year of its ringing history. The Australian and New Zealand Association was formed after several years’ deliberation; there was a great amount of interstate travelling between towers, several meetings and the best part of a dozen peals and a hundred quarters, Membership is high (though no cause for complacency as our brethren out there well know! ), the Journal under W. B. Pitcher’s editorship has set off to a very high and successful standard, and all in all a spirit of advancement prevails. Some of the unringable and badly-going rings are receiving the attention of the bellfounder, and if this attitude and interest continues the projected tour in 1964 from Britain will provide even further stimulus. In conclusion may I wish, on behalf of the Central Council, good luck and good ringing to all our overseas brethren for 1963-64. GEORGE W. PIPE (hon. member). Presenting the report, Mr. G. W. Pipe said Australia was looking forward to Great Adventure II, and they hoped it would take place in 1964. By then Melbourne Cathedral bells would be back, retuned. He had obtained permission for 30 peal attempts. All details had been looked into and there was a great welcome awaiting the visitors. Mr. John Mayne said in regard to Groton School, Massachusetts, the Council would be aware that Mr. Russell Young was a frequent visitor to this country and had twice brought parties of boys from the school. The bells had been re-hung and augmented to ten and go well. The boys had now rung a quarter of Stedman Doubles. There was also a considerable amount of ringing at Kent School, Connecticut. Mr. H. W. Rogers: May I say how pleased we are to see this report on the agenda. I hope Mr. Pipe will be requested to carry on the good work. Mr. J. F. Smallwood: Mr. Stan Mason is here and he has recently rung at Groton. Mr. S. Mason said he was at Groton in April. The boys rang Stedman Doubles and can do a plain hunt on ten. He thought if they could keep together they would be a very fine band, but Mr. Russell Young has the problem of recruiting new boys each year. Mr. Geoffrey Dodds asked as to the prospects of ringing to changes the new ring at Washington. Mr. F. Sharpe: That will be under discussion in the next fortnight, and I will let you know what happens. Mr. V. Sheppard, in a report on African bells, said Kilifi bells were now rung; at Woodstock, Cape Town, they had an accident recently to one of the bells. There were prospects of bells at Kimberley and Cape Town. The Rev. John Scott said last year they had a visit from a clergyman from West Virginia, and he was tremendously interested in ringing. If the bells are hung for ringing in Washington Cathedral and are rung there would be an interest that would sweep right through the States. Mr. P. A. Corby suggested that they should send a letter to Australia congratulating them on completing 100 peals. The President: The secretary will do that. Mr. John Mayne said a lady from Middlesex had gone to Salisbury Cathedral, Rhodesia, where a peal of Doubles was rung last year. Miss M. Cross said they had one of the Salisbury band in Oxford. At Salisbury he travelled 60 miles each week to attend a practice. Mr. F. I. Hairs proposed the election of an Overseas Committee, consisting of Mr. G. W. Pipe and Mr. V. Sheppard. Seconding, Mr. F. E. Dukes asked if any member had information it should be sent to Mr. Pipe. The hon. secretary announced that three invitations had been received for the meeting in 1964. They had been invited to Truro by the Truro Diocesan Guild, to Northampton by the Peterborough Diocesan Guild and to any place in the Coventry diocese by the Coventry Diocesan Guild. The Council had not been so far west as Truro: they visited Northampton in 1920 and Warwick in 1934. Speeches supporting the invitations were given by Mr. D. Burnett (Truro), Mr. E. Billings (Northampton) and Mr. F. W. Perrens (Coventry), who said that if the Council accepted the invitation the meeting would be in such a centre as Leamington. The voting was Truro 80, Coventry 66, Northampton 12. In answer to a question, Mr. Barnett said there was reasonable accommodation at Truro; there were three or four hotels each with accommodation for 150 people. Miss Boyle hoped that Coventry and Northampton would be accepted another year as she would like to visit both centres. Mrs. Staniforth: Next year we might come forward with the idea of two meetings! The President said the Council desired to offer their warmest thanks to those who had helped them. They would like to thank the Lord Bishop of Norwich for celebrating at Holy Communion, the Mayor (Cclr. J. T. Winter) for his welcome, and also the Archdeacon of Norwich for his welcome. In thanking Mr. Nolan Golden, the president of the Norwich Diocesan Association, Canon Thurlow said they would like to thank all those who had worked so hard to make the meeting a success. With Mr. Golden there were the general secretary (Mr. Barrett), the Ringing Master (Mr. Goodman) and Messrs. Arthur Wigmore and Peter Newstead. They also thanked Mr. G. W. Fletcher for his help in obtaining the Garibaldi for headquarters. Canon Thurlow: In saying thank you, I would say this is one of the highlights of my ministry in Yarmouth. This is a day I shall not forget. The meeting was followed by a civic reception, during which the members of the Council and their ladies were entertained to tea by the Mayor and Mayoress. Their Worships were thanked by the President, and the Mayor in reply said they were proud in having as a resident of Yarmouth one who was secretary of their Council from 1932 to 1952 (Mr. G. W. Fletcher). He hoped the conference had been successful and members would enjoy their stay in Yarmouth. In the evening a social was held at the Garibaldi. An impromptu entertainment was arranged with songs and recitations by Canon Kenneth Felstead and the Rev. John Scott, who composed a song on the forthcoming Australian tour, sung to the tune of the sea shanty, “The Spanish Lady.” Mr. Frederick Sharpe also sang a Gloucestershire folk song.